The Best Dog Care in Central Massachusetts, just minutes from all the major highways (I-495, I-290, Rte 9, Rte 30 and Rte 20). Do you have a full, active life but no spare time? Is your dog crated or left alone more than you would like? Is your pup in need of a makeover? Do you want your dog to be well socialized? Does your family wish your dog behaved better? Lots of people feel the way you do! The good news is that you can have a vastly improved quality of life with your pet. It just takes people who have done it hundreds of times, people who love dogs passionately; people who know how to live joyfully with their own dogs. Those people are at The Doggie Den! When you and your companion enter The Doggie Den, we welcome you with open arms. We love dogs and their people! And we understand about busy lives. In fact, our commitment is to enhance your relationship with your dog by providing you all the services you need, plus a guilt-free alternative to leaving your pup home alone. 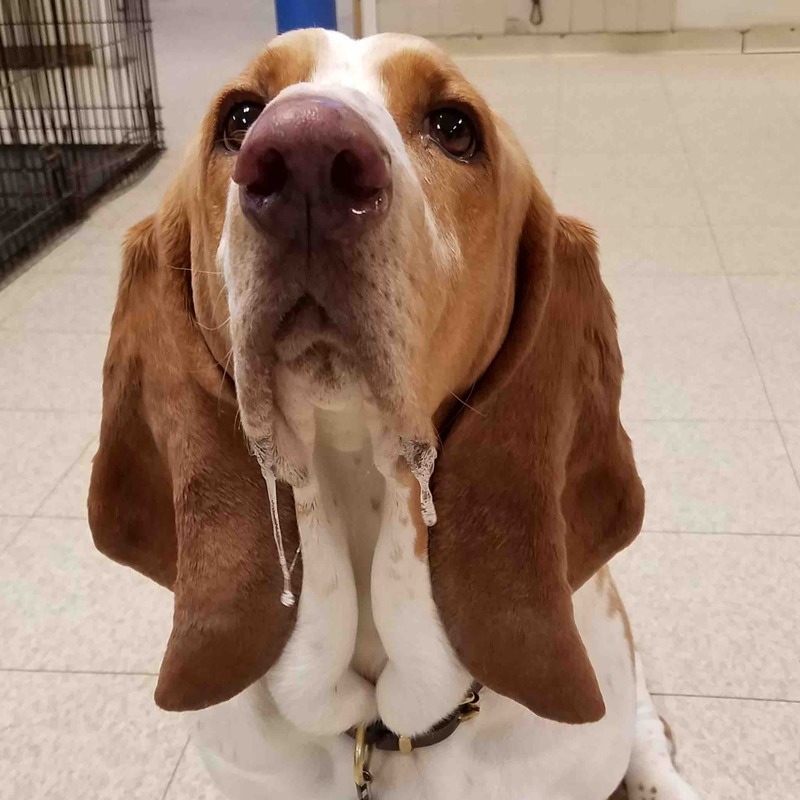 We promise to provide your dog with expert Grooming and Daycare in which your dog will enjoy first class accommodations, a fun-filled, safe day, and lots of hugs and kisses. 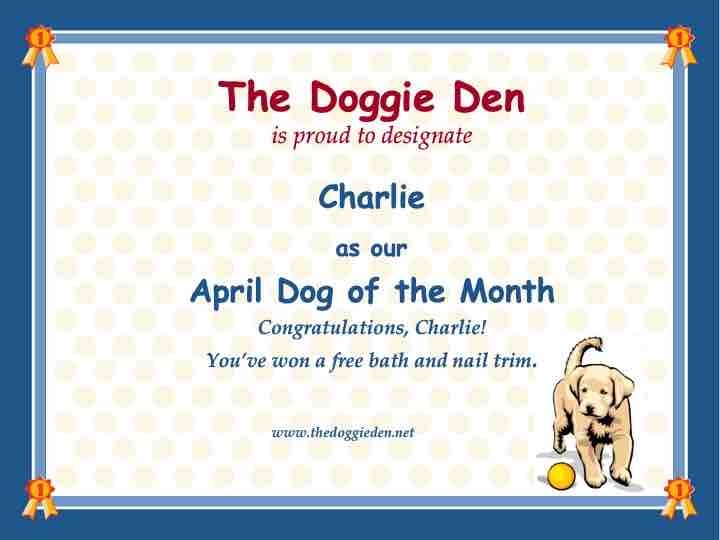 Dog of the month winners receive a bath and nail trim at The Doggie Den! "Charlie is a great boy who is always willing to snuggle. He always looks forward to his morning and evening snacks."